Very stupid agent with artificial intelligence whose sole mission is to explore a room and clean all the dirty tiles. Some sort of vacuum cleaner. 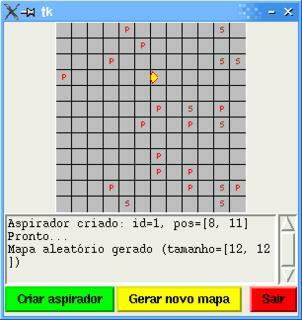 Implemented in Python, using Tk for the gui.